2.MAX-7219 based 8×8 LED Matrix Displays(4.No’s or more). Those available in kit form and assembled form. And we can purchase through on- line marketing like Amazon etc. In my case 4 modules are powered from GPIO pins of Raspberry . It is good to use separate power for modules for more than 2 modules. 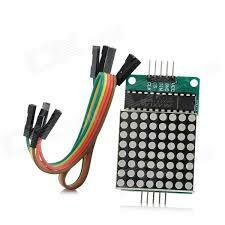 to connect GPIO pins and MAX7219 LED modules. 2.Install Display drivers for MAX7219. 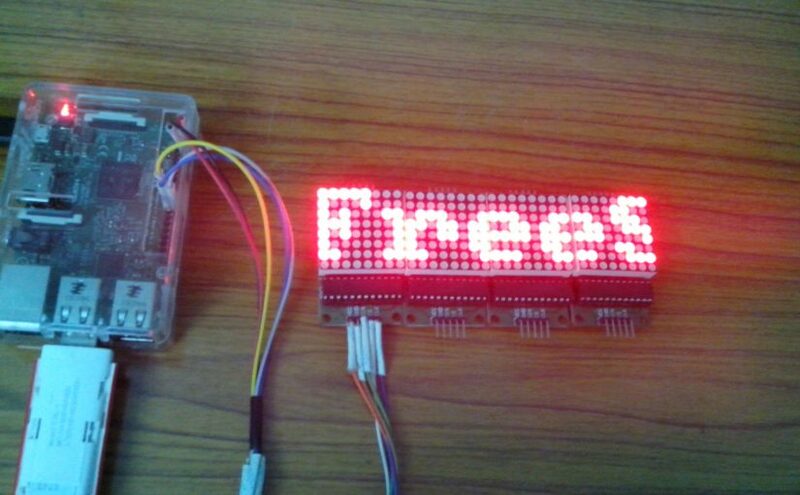 (as given below) between GPIO of Raspberry pi and MAX 7219 matrix LED displays. Edit matrix_demo.py according to no. of matrix devices used i.e cascaded= n, in my case n=4. device = max7219(serial, cascaded=4 or 1, block_orientation=block_orientation). Here is my source file. WebRTC provides Real-Time Communications directly from better web browsers and devices without requiring plug-ins such as Adobe Flash nor Silverlight. FreeSWITCH is a WebRTC gateway because it’s able to accept encrypted media from browsers, convert it, and exchange it with other communication networks that use different codecs and encryptions, for example, PSTN, mobile carriers, legacy systems, and others. 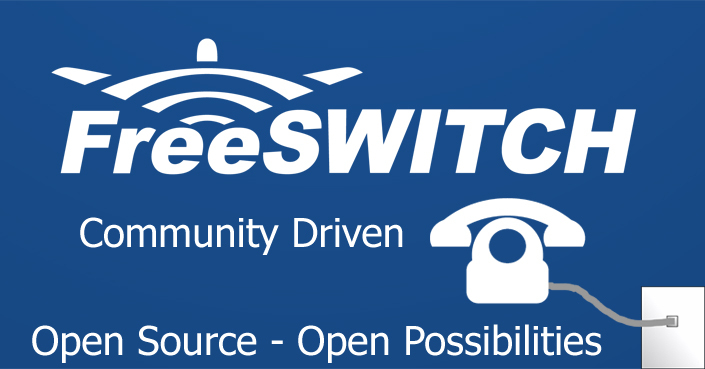 FreeSWITCH can be a gateway between your SIP network and applications and billions of browsers on desktops, tablets, and smartphones. By default, Sofia will listen on port 7443 for WSS clients. You may want to change this port if you need your clients to traverse very restrictive firewalls. Edit /usr/local/freeswitch/conf/sip-profiles/internal.xml and change the “wss-binding” value to 443. This number, 443, is the HTTPS (SSL) port, and is almost universally open in all firewalls.Remember that if you use port 443 for WSS, you cannot use that same port for HTTPS, so you will need to deploy your secure web server on another machine. Let’s carry out the most basic interaction with a web browser audio/video through WebRTC. We’ll start using SIP.js. A web page will display a click-to-call button, and anyone can click. That call will be answered by our company’s PBX and routed to our employee extension (1000). Our employee will wait on a browser with the “answer” web page open, and will automatically be connected to the incoming call. Our employee (the callee, or the person who will answer the call) will sit tight with the answer.html web page open on their browser. The mod_httapi module was built to allow you to make your call control and IVRs dynamic. With it you can generate custom IVRs based on user input. Freeswitch mod_httapi is a simple HTTP POST operation to send various bits of information to a web application for restful way to control freeswitch call flows. This module provides an HTTP based Telephony API using a standard FreeSWITCH application interface as well as a cached http file format interface. The mod_httapi configuration file is found in conf/autoload_configs and is named httapi.conf.xml . It contains several settings parameters as well as a profiles section. The example configuration contains a default HTTAPI profile or you may create your own profiles. Inside the profile tag you will notice a number of param entries. These control things such as default settings for various work actions, permissions control (see the following sections), and the default URL to use for HTTP requests. With all the control that you have in httapi , sometimes it becomes necessary to little bit with permissions on things such as variables that shouldn’t be changed, or applications and APIs that you don’t want to execute. Permissions tag you’ll find many different permissions that you can enable, with even more fine-grained control over certain aspects of some of them. It is a scalable open source cross-platform telephony platform designed to route and interconnect popular communication protocols using audio, video, text or any other form of media. We are using Debian for this tutorial as it is very stable & mature linux distribution and FreeSWITCH core developers’ choice-of-distribution . You can read more about FreeSWITCH on there wiki page. Now lets cut a crap & start an action, assuming you already have working Debian 8 OS. There are different ways to install FreeSWITCH. In this tutorial, we will see how to install it from source. First update your Debian box & install curl & git. Add FreeSWITCH GPG key to APT sources keyring. Add FreeSWITCH repository to APT sources. Once again update your system. Now lets first install FreeSWITCH dependencies. Lets create simlinks to required binaries to access them from anywhere. To start FreeSWITCH after each boot automatically we need to set up init script. Init script is script used by init system to manipulate services. Debian 8 is now migrated to systemd init system, we will add systemd unit file. Now we are all set. Lets start hacking FreeSWITCH. FreeSWITCH is not the offending party here, but the device that is sending G729 as G729a. The correct encoding name assigned to this codec by IANA is G729 not G729a. If you set this option to true in sofia profile as shown below, FreeSWITCH will be more forgiving to devices that are using non standard IANA codec names in SDP.